Abuelita's Mexican Restaurant in Shawnee is a family-owned restaurant that serves authentic Mexican cuisine. A different special is available each day of the week for lunch and dinner. Abuelita's offers a wide range of menu items, from enchiladas to specialties like chicken Monterrey. Order an appetizer such as guacamole salad or shrimp cocktail to start off your meal while you scan the menu. Try a specialty entree like the guisado ranchero, steak pieces with grilled onions, jalapenos and special sauce served with rice and beans or the flauta dinner with either chicken or beef served with Mexican potatoes, guacamole and sour cream on the side. Order a tamale dinner with two tamales covered in chili and cheese, served with beans, rice, potatoes and guacamole, or try the chicken or beef chimichanga dinner, served with beans, potatoes and guacamole. Try the tasty selection of enchiladas offered at Abuelita's Mexican Restaurant, including enchiladas filled with spinach, green chiles, shrimp or fajita meat. 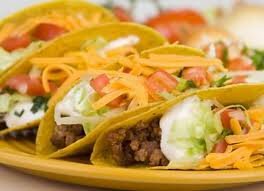 Tacos, burritos, nachos and fajitas are also featured on the menu, as well as American foods like chicken strips and a cheeseburger served with fries. The kid's menu at Abuelita's includes a cheese enchilada, bean burrito or tamale served with rice and beans and a corn dog served with fries. Located on Independence St just west of Harrison Ave.